Interclamp is a versatile range of quality galvanised malleable iron pipe fittings with a multitude of uses. Designed for easy, simple and fast erection of rigid structures by hand with the minimum of tools, Interclamp is a cost effective, efficient system, particularly compared with traditional methods of construction such as welding, where specialist tools and extensive training and experience are required. Interclamps are made from malleable iron manufactured in conformance with BS EN 1562:1997, a dependable and well-proven material for this type of product. 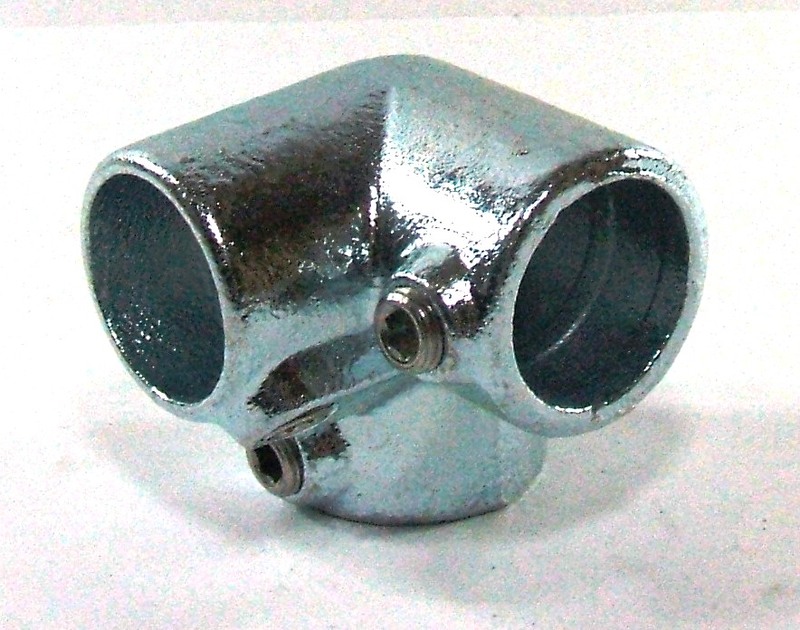 The fittings are then hot-dipped galvanised to BS EN ISO 1461:1999 to produce a durable corrosion resistant finished surface for extended life. For customising to specific end-user requirements, powder coating is available applied over the galvanising in a wide spectrum of RAL or BS colours on request. Quality setscrews are utilised, as these are a vital component in the high structural integrity of the fitting. To obtain optimum setscrew slip loads, the setscrew should be tightened to 40Nm, for which a ratchet wrench may be necessary.